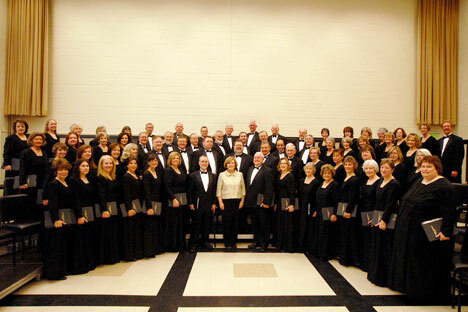 Now in its seventeenth season, the Southern Crescent Chorale (SCC) has established a reputation for excellence and achievement in the south metro area arts community. Passionately conducted by veteran choral director, Janice Folsom, the Chorale’s mission is to enrich its communities and provide talented and interested singers an opportunity to perform a variety of challenging choral literature with high performance standards. The Chorale performs major choral works, as well as opera, Spirituals, and Broadway favorites. Chorale members hail from six different metro Atlanta counties. They dedicate many hours to making music and have performed before thousands of people at venues throughout the Southern Crescent region. The Chorale returned to Europe in summer 2010 for a tour of Vienna, Prague, and Berlin and in 2013 touring Spain and France. Our most recent tour was to Scotland, England, and France in 2016. The Chorale is pleased to give its own gift to the community each season by presenting a benefit concert. The benefit concert is offered to the public free of charge and is aimed at generating donations to organizations that serve children. Beneficiaries of the Chorale’s benefit concerts have included Boys and Girls Clubs of Metro Atlanta, the Georgia Baptist Children’s Homes and Family Ministries, the Southwest Christian Care “Hope House” Respite Center, The Joseph Sams School, the Fayette Youth Protection Home, Children’s Village of Christian City, Rainbow House, Inc., Hope House, Camp Southern Ground, EXPOSE ATL, AVPride, and Wellspring Living.